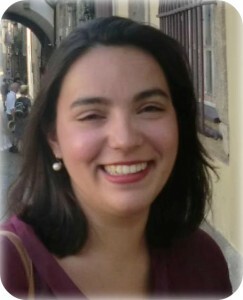 Marisa Oliveira started her music studies in Guimarães, Portugal. At the age of ten she started singing in choirs. In 2008, she was a soloist in the musical Cats, as “the Gumbie Cat”. In 2010, she had a secondary role in Britten’s “Noye’s Fludd” as one of the Gossip Girls, and choir parts in several other operas. In the same year she was accepted at the choral conducting course of the University of Music in Lisbon. In 2011, she was member of the choir Ricercare (Lisbon). Still in 2011, under the Erasmus student exchange program, she was nine months at the Zoltán Kodály Pedagogical Institute of Music in Hungary. There she took singing lessons with Renáta Darázs and conducting lessons with Katalin Kiss and was part of the girls’ choir conducted by László Norbert Némes. Nowadays she is finishing her bachelor studies and is part of the chamber choir at the University in Lisbon, conducted by Paulo Lourenço. With this choir she had the opportunity to perform the Mahler’s 8th Symphony in Ankara, Turkey, conducted by Işin Metin.